It’s a pretty big year for Cable, what with his feature film debut in Deadpool 2 and, uh, dying in a few months. That second one kind of stinks, but hey! At least he’s going to be part of a new X-Force series. And he’ll be younger to boot, so that’s a win-win. 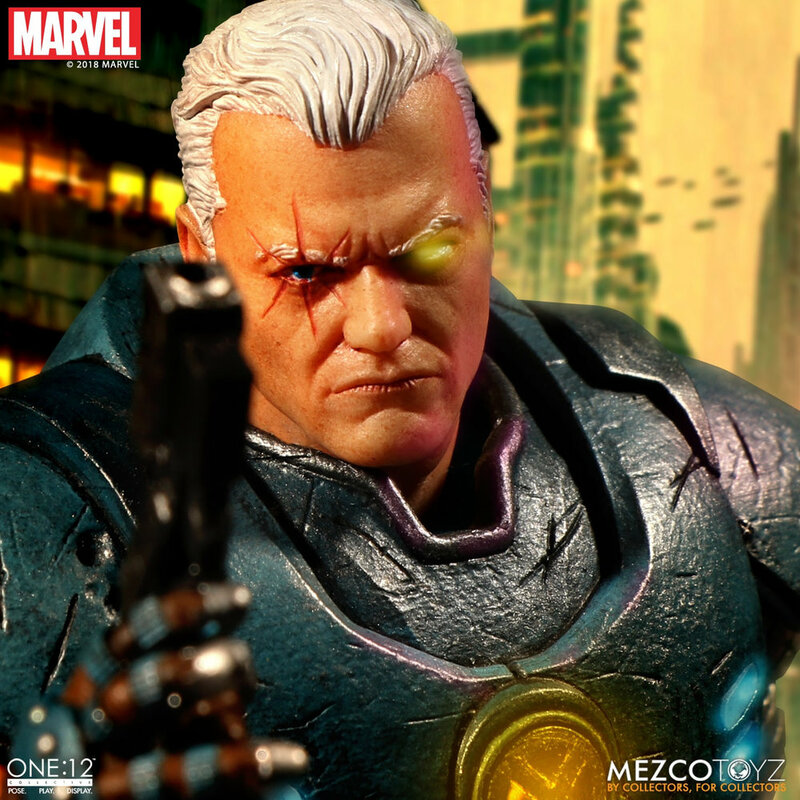 Not to be outdone, the folks over at Mezco Toyz will be riding the Cable popularity train as they’ve announced a brand new action figure of the grumpy mutant. This thing looks insanely cool, with tons of pouches, interchangeable hands, more pouches, some huge guns, even more pouches, and some rad light-up features. Mezco have released some great figures in recent memory, and this one may just take the cake. Check it out. The One:12 Collective Cable figure is available for pre-order now and will ship between May and July of 2019.